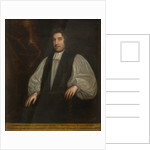 John Wilkins is painted at three-quarter length, seated, in ecclesiastical dress, a black tippet over a white surplice. 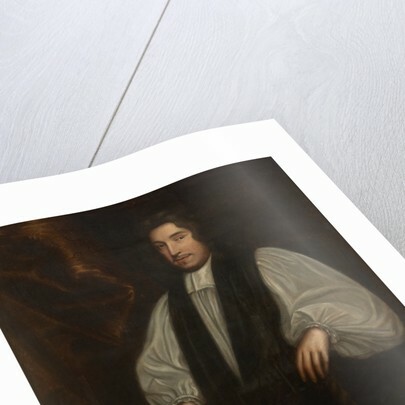 He has dark natural hair, shoulder length and a narrow moustache. The left hand rests on the arm of his chair; the right loosely on his knee. 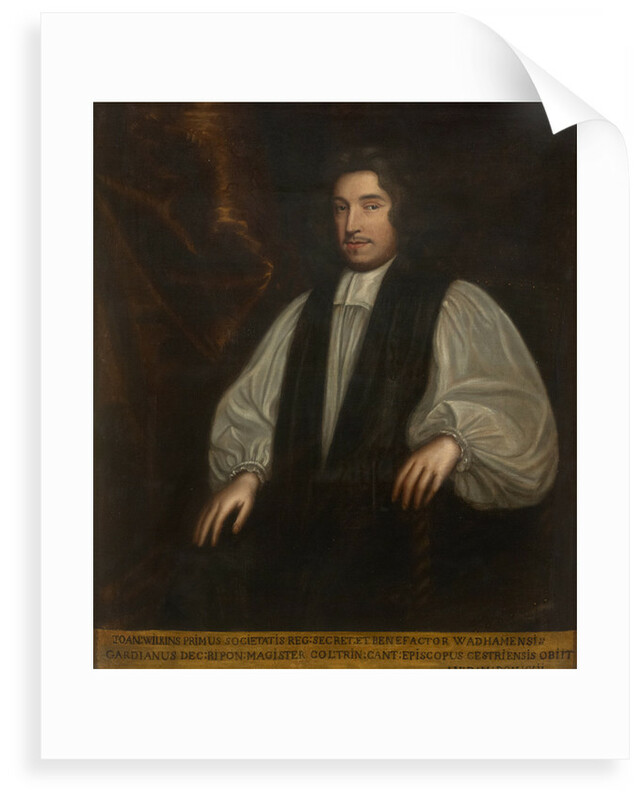 John Wilkins was elected a Fellow of the Royal Society in 1660, he was a founder of the Society. 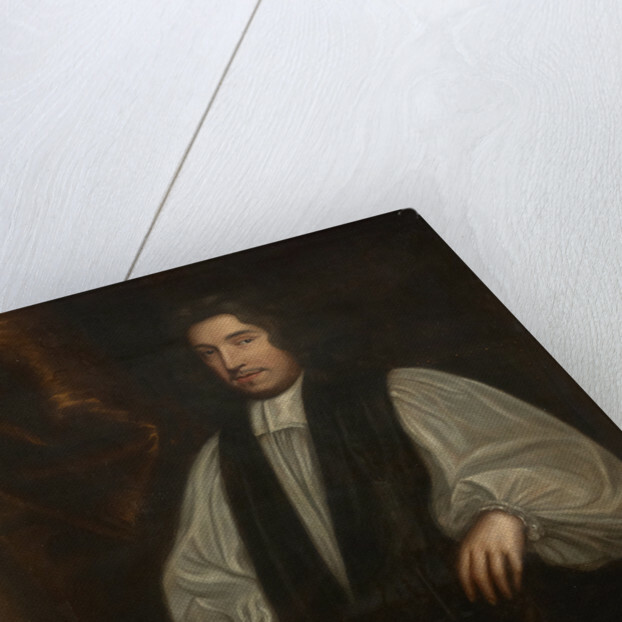 More by the artist Mary Beale. 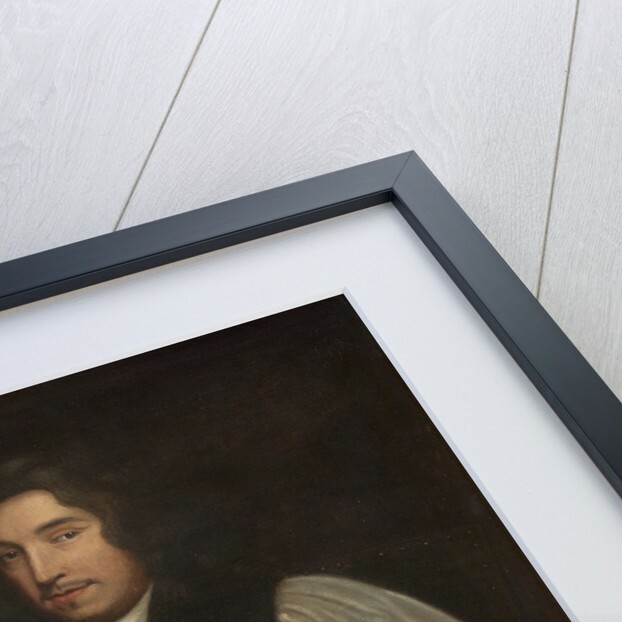 Explore the collections Portraits, Royal Society prints.